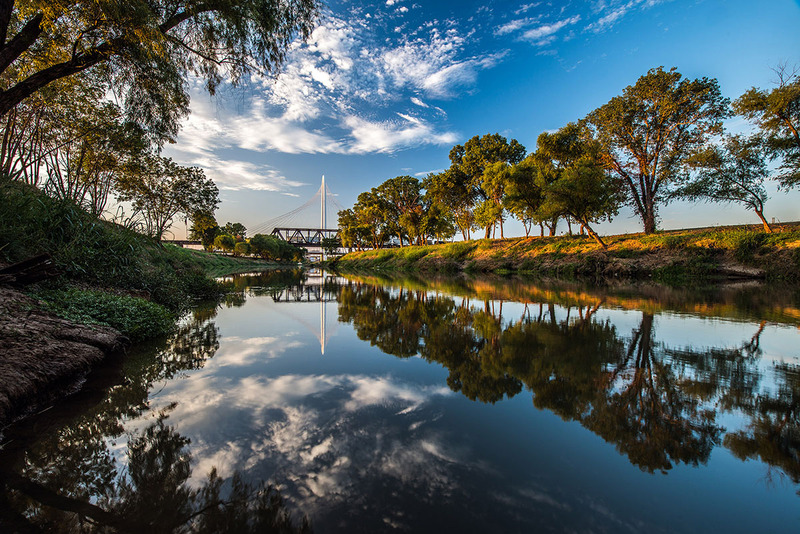 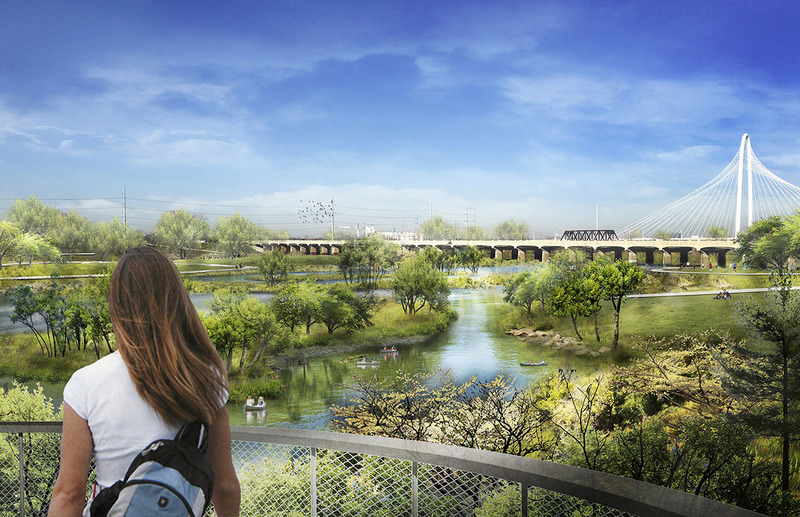 Today, Dallas is embracing its river, viewing it as a way to connect neighborhoods and provide access to nature, while continuing to play a major role in flood protection. 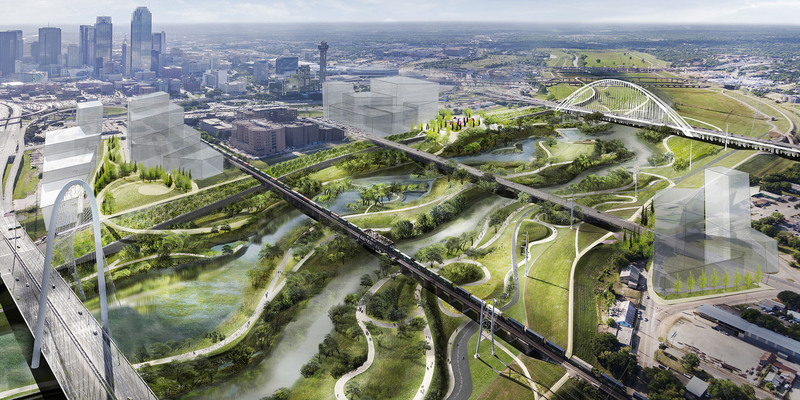 The Trinity River has been an untapped natural resource for generations and now is being transformed into a true asset, bringing together communities and nature. 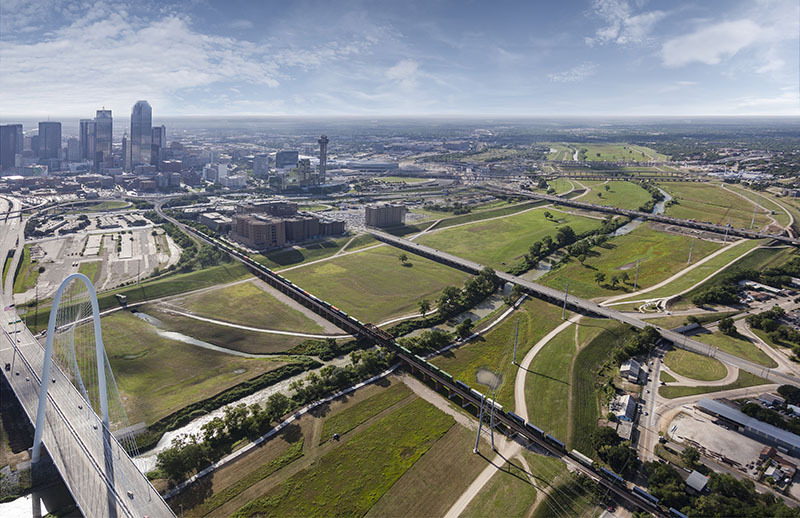 After the great flood of 1908, George Kessler led a plan to move the river away from downtown and to the west, building levees to protect Dallas from future flooding. 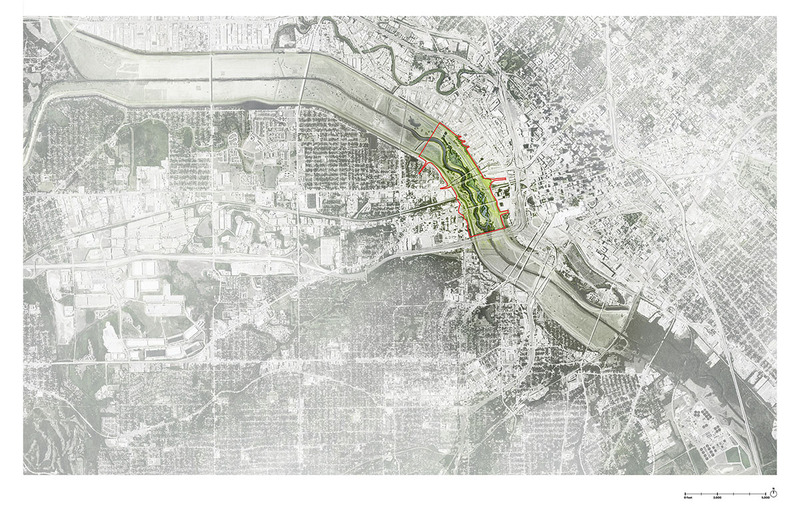 Since then, Dallas has grown up all around the river with little interaction. 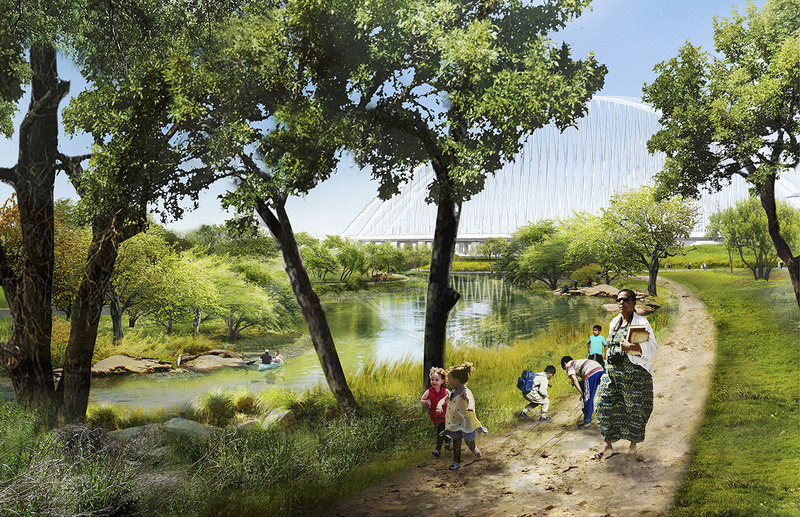 Now, as part of the Trinity River Corridor Project, Dallas is creating the Harold Simmons Park to join the already existing Trinity River Audubon Center, Texas Horse Park, the Ronald Kirk Bridge, the Margaret Hunt Hill Bridge, and the Margaret McDermott Bridge designed by Santiago Calatrava. 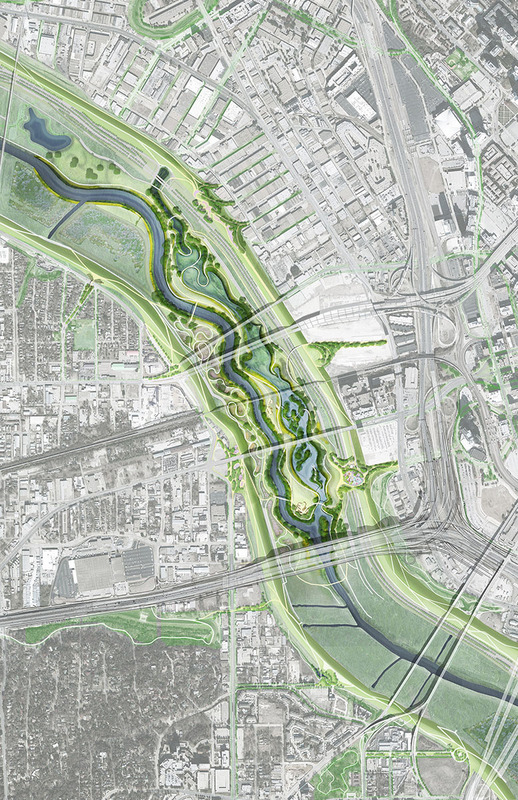 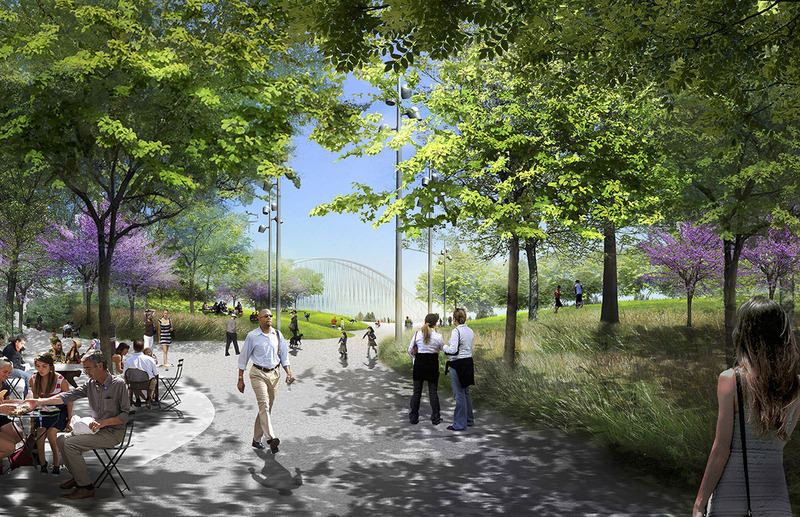 This new feature includes a naturalized river landscape, elevated urban parks, hard- and soft-surfaced trails, and places for people to gather, walk in nature, and celebrate community—all while maintaining the river’s role in protecting the city in case of flooding.